It has been a whirlwind week ever what with the news of Alia Bhatt starring in Sanjay Leela Bhansali's next film, Inshallah with Salman Khan was finally confirmed. Fans could hardly contain their excitement over this and now the actor went on to confirm that the film will be releasing over Eid 2020. Yes! You heard it right. While Salman choosing an Eid release may not come as a surprise for you, the big news here is that it will now clash with Akshay Kumar's Sooryavanshi which has also been announced to have an Eid 2020 release. In a recent interview, Salman confirmed the big news and even spoke about working with director Sanjay Leela Bhansali again. It has been nearly two decades since they worked together and now the actor said, "Sanjay Leela Bhansali has got his aesthetics right, great visual sense, script sense and great command over scene which have drama, emotion, romance and comedy." Salman Khan in Inshallah, Shah Rukh Khan in Dear Zindagi – Alia Bhatt and Her Unusual Onscreen Pairings in Bollywood! If both the films continue to keep their release dates, this will be the first time Salman Khan and Akshay Kumar will clash at the box office. It will be a massive one considering both the stars have a huge fan following and both films are expected to be hugely anticipated films too. Akshay Kumar-Rohit Shetty's Sooryavanshi Will Have Ranveer Singh and Ajay Devgn Too? While we are yet to know more details about what Inshallah will be all about, Rohit Shetty's Sooryavanshi is expected to be a big action entertainer. The new character of Akshay Kumar from the flick was already introduced in Ranveer starrer film, Simmba by the same director. 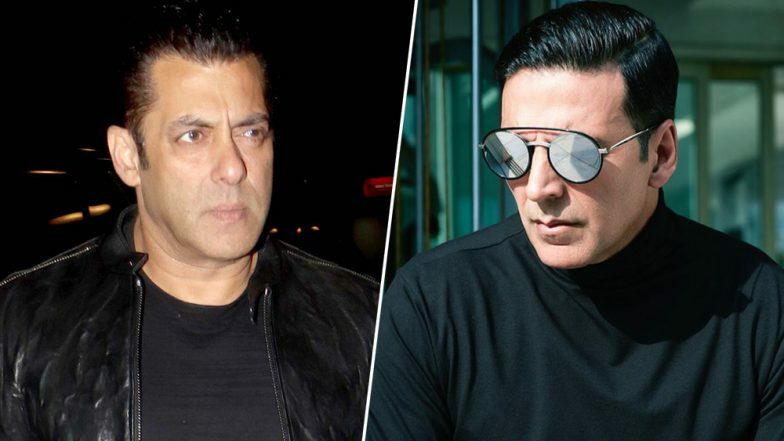 According to reports earlier, Akshay had consulted Salman before locking on Eid 2020 but with this announcement, it will be interesting to see what happens next!